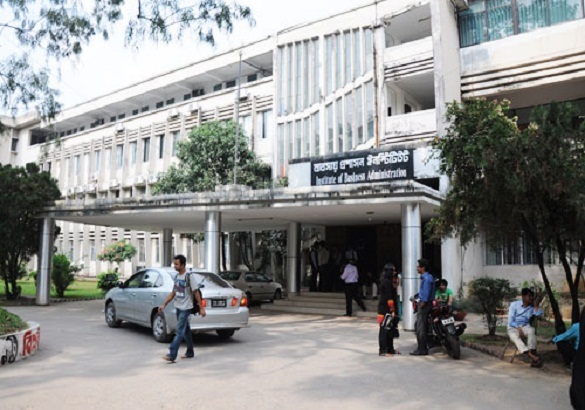 Institute of Business Administration (IBA) of Dhaka University (DU) on Thursday launched a new course titled 'Advanced Certificate for Management Professionals (ACMP)' for developing skills of midlevel officials of information technology (IT) sector. DU Vice-Chancellor Professor Dr Md Akhtaruzzaman inaugurated the course at a programme at IBA auditorium this morning. Under the course, about 500 IT and ITES professionals will be provided with training on business analytics, cyber security, project and people management, business and customer management, business communication, finance, accounting and strategic management. IBA Director Professor Dr AKM Saiful Majid presided over the ceremony while Additional Secretary of Information and Communication Technology (ICT) Md Rashadul Islam attended it as the special guest. Project Director of Leveraging ICT for growth, employment and governance (LICT) project Md Rezaul Karim gave the welcome speech at the function. Bangladesh Computer Council (BCC) Executive Director Swapan Kumar Sarker, LICT project Management Specialist Sarker Abul Kalam Azad, LICT component team leader Sami Ahmed, Communication Specialist Ajit Kumar Sarkar, Chairman of BBA programme Professor Dr Md Ridhwanul Haq were present at the function, among others.